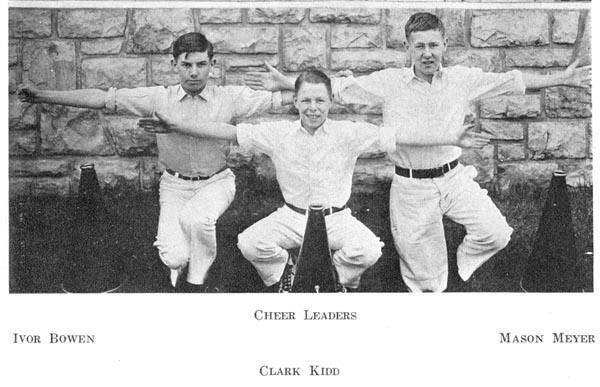 Cheer Leaders, Westport Junior High School, Kansas City, Missouri. Ivor Bowen, Clark Kidd, Mason Meyer. 1. The Iris, 1926, Kansas City, Missouri, page 64.